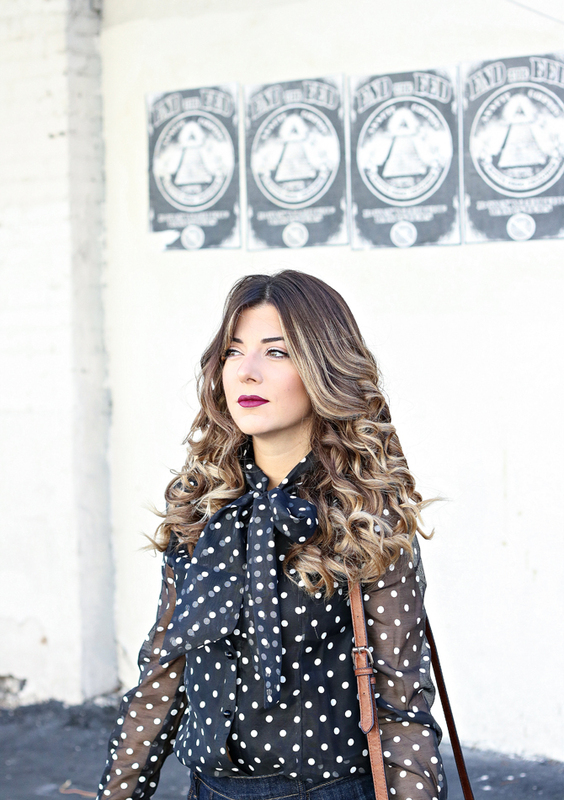 This season, the tie front blouse is trending strong! In my last post, you saw me style it as a school girl uniform, but this look was all about fun and bold for me. 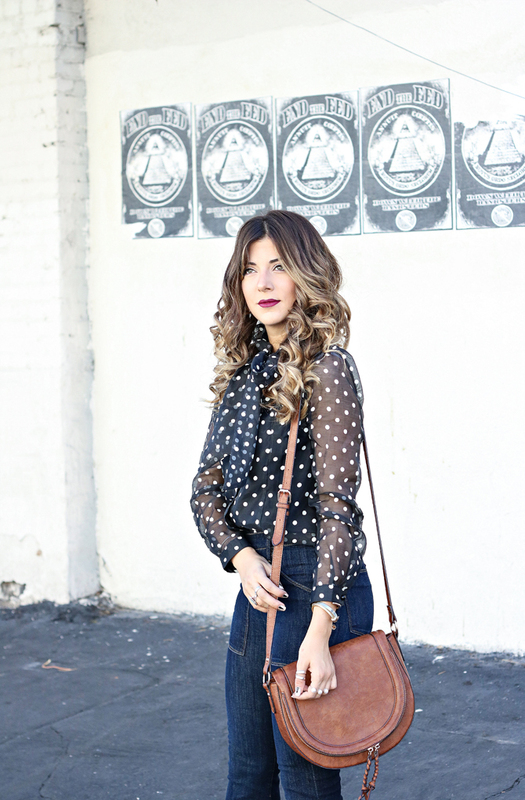 I am a total polka dot fanatic! 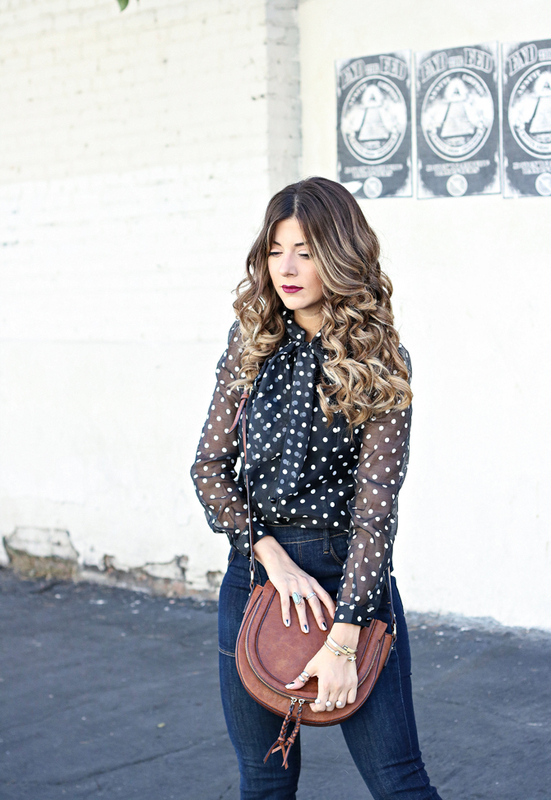 Going back to my Minnie Mouse days, I have always loved a good black and white polka dot print. With bow ties being such a huge statement, I knew I had to own this top. With such a statement piece, I knew I had to keep the rest of my wardrobe minimal. Might I add that I chose to wear this look when it was 98 degrees in the morning. But boy, I did not mind! Wow!! This is a wonderful outfit! 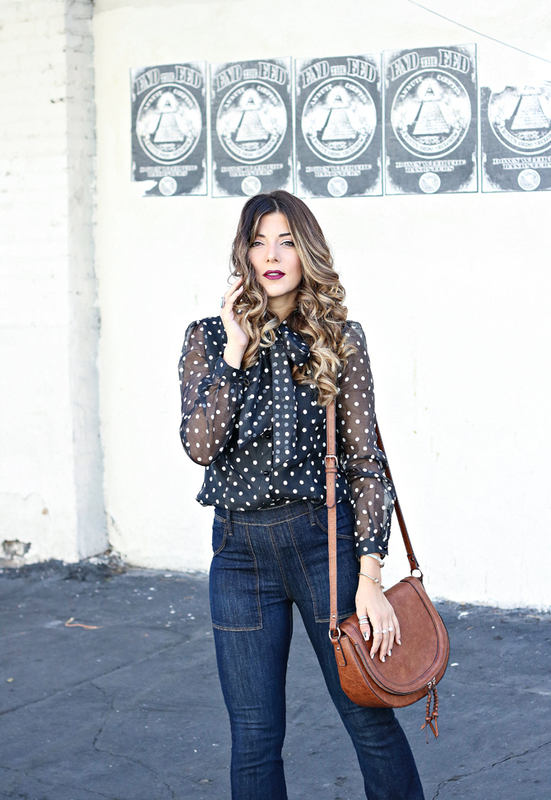 You look absolutely gorgeous and this blouse suits you perfectly! 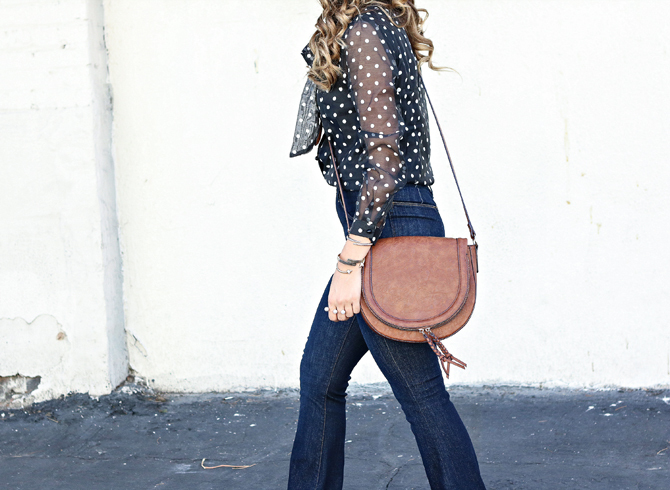 love the polka dot blouse and the bag!